Bounty hunter Stephanie Plum, her mentor Ranger, and a host of other - ahem - interesting characters set out to find a missing 7-year-old girl. The search becomes a race among Stephanie's posse, the True Blue Bonds Agency, and the crew of one very scary man named Eddie Abruzzi. Did we mention there's also a killer rabbit on the loose? The world of Stephanie Plum has never been wilder! I started this series with Lorelei King as narrator, so she is the voice of Stephanie for me. I was reading other reviews that liked CJ Critt better so I listened to a sample of the earlier books in the series. I thought CJ sounded like she was breathing very loudly between sentences (maybe it was the quality of the sample?) and Ranger sounded like a street thug. Lorelei makes Ranger sound sexier... like he's supposed to be. I guess it's just a matter of which narrator you get used to... but I would say don't write off Lorelei King because of other reviews...give her a chance. She's one of my favorites! 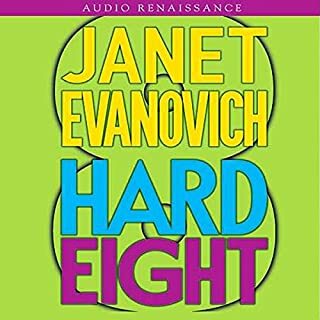 ...and I love all the Janet Evanovich novels...even if they are predictable and have similar plots. They are still fun and make me laugh. Gotta love Lula! 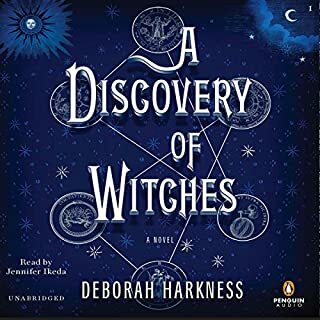 The only redeeming quality about this book was the narrator, some interesting character names (like Peter Abbott...which sounds like Peter Rabbit, and Judith Prieth - Judas Priest, etc), and a parrot who starts repeating everything it hears. Other than that, it's not worth the many hours it takes to listen to it. I finally got through Part 1 and into Part 2 and have thought about giving up several times. This book jumps around so much that I have trouble following it and I'm wondering "what's the point?". I thought it was supposed to be about the disappearance of a bunch of elderly people from a nursing home. So far a minimal amount of time has been spent on that. It's mentioned periodically so you don't forget completely. I haven't finished this recording yet...I'm forcing myself to listen. Six chapters to go... I think I can... I think I can! But I don't really want to! I was leery about the vampire aspect of this book. I'm not into vampires. If you want to read gory, blood sucking details, then this is NOT the book for you. It has witches, vampires, and demons but they are portrayed as everyday people. This is a story of forbidden love between a witch and a vampire and is more about their relationship than about evil. I am near the end and am enjoying it thoroughly. 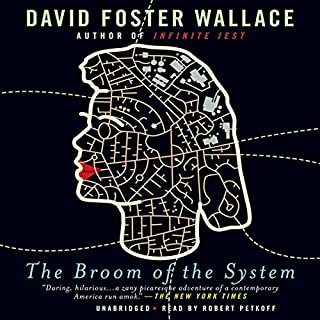 It's one of those audible books you want to keep listening to. Might be in the Chick Lit category! Well we keep waiting for something to happen between Stephanie and Ranger. They finally hook up in this one... thanks to the "Bordo" (sp?)... ya gotta listen to it to figure that one out! It was predictable, but I love the humor and fun in Janet's books. Don't listen if you want deep and meaningful LOL! As always, there's lots of donuts and Cluck in a Bucket! I'm ready for #18! A unique fusion of philosophy and metaphysics set against the backdrop of contemporary culture. Have you ever wondered if the world is really there when you're not looking? We tend to take the reality of our world very much for granted. 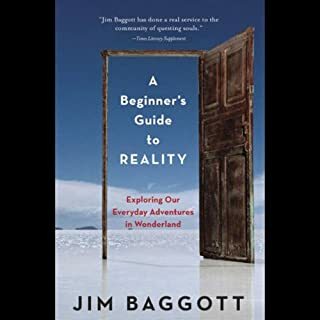 This book will lead you down the rabbit hole in search of something we can point to, hang our hats on, and say this is real. Not what I thought it was going to be about. Would you listen to A Beginner?? ?s Guide to Reality again? Why? No. The author is obsessed with the movie "The Matrix" and makes a lot of comparisons to different aspects of the movie. I found that very tedious. Would you recommend A Beginner?? ?s Guide to Reality to your friends? Why or why not? No. Not unless they were also obsessed with "The Matrix". First of all...I don't like this format for reviewing. I would rather say what I want without being structured. The book was not so much about questioning reality as it was our perception of reality. I thought it was going to be a bit more philosophical. An example would be our monetary system. Money is printed on paper. It's value is determined and we all abide by the decision that each has it's own value...so that's our reality. Blah. Rebecca Brandon the Compulsive Liar! 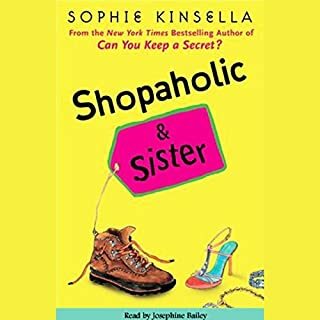 I have listened to several Sophia Kinsella books and this one became irritating towards the middle. Rebecca just doesn't seem to learn. She just can't seem to stop with the lies! It was very difficult for me to finish this one. Towards the end it got a little better, but like one other member said... I'm laying off this series for awhile. I already purchased Shopaholic Ties the Knot, but it'll be awhile before I can go through that again. These used to be hilarious, now they are just annoying. After a political scandal, fledgling lobbyist Dempsey Jo Killebrew is left almost broke, unemployed, and homeless. She reluctantly accepts to refurbish Birdsong, the old family place in Guthrie, Georgia. But, oh, is Dempsey in for a surprise. "Bird Droppings" would more aptly describe the moldering Pepto Bismol - pink dump. There's also a murderously grumpy old lady who has claimed squatter's rights and isn't moving out. Ever. Come on fellow readers! These books aren't read because they are literary masterpieces! They are just an enjoyable escape. 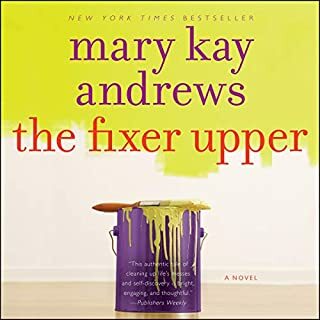 This is my first MK Andrews book. If the others are equal to this I will defintely try another. 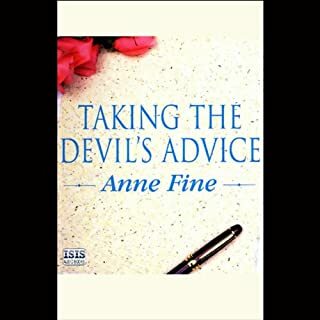 I enjoyed the characters and the narrator did a great job. I liked that the author didn't over kill the plot. Yes, it was very predictable. Personally, I didn't care. I love chick lit! It's light and funny... a retreat from daily life. It all started with the sneak preview of "Plum Spooky". I wasn't sure this would be my "cup of tea", but I went ahead and used one of my credits. I LOVED IT! 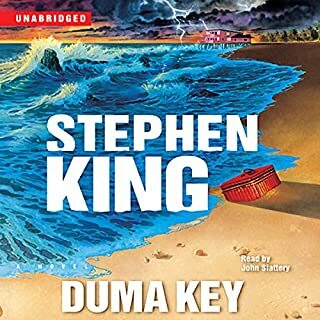 After that I bought the paperback of "Plum Lucky" and read it while on vacation. 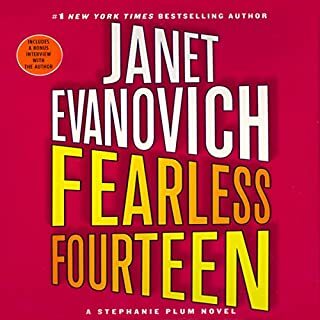 Now I'm almost finished with "Fearless Fourteen" and have downloaded "Eleven on Top". (should I be reading these in order?) I can't get enough! The characters are so quirky and her books are laugh-out-loud funny...who would have guessed! Lorelei King is an excellent narrator.. I love the way she portrays Lula and Granny (my favorite characters). 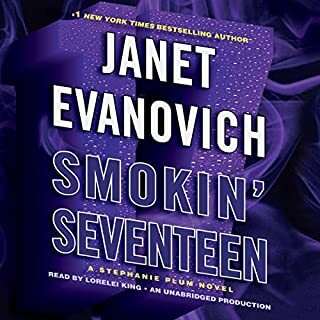 At this rate Evanovich won't be able to write enough to keep up with me! I ordered this after listening to the sample - I thought sounded interesting. I have been disappointed in SK's books since his accident. This is the best he's written since BAG OF BONES (which I loved!). I highly recommend it. Even though it was 21 hours of listening, I breezed through it...like the other reviewers stated - I couldn't stop listening. A note for the timid...it isn't really that scary. And the narrator did a fantastic job! Perhaps Oliver should have expected the autobiography he was writing to be constantly sabotaged? Perhaps he should have guessed that he'd have scorn and derision poured upon him? But then Oliver was a philosopher, always happier with abstraction than reality. Now reality is about to come crashing down around him in the most unexpected and hilarious of ways. The only saving grace in this book was the narrator. The characters are tedious and whining. I was grateful when it finally ended. The description of the book mentioned the word "hilarious"...it wasn't even funny in the slightest. It was a lengthy description of a philosopher and his inability to find alone time to think, and the hundreds of ways his ex-wife annoyed him. I never did figure out the reasoning for the title.